: Locale Market is a collaboration between celebrity chefs Michael Mina and lifelong friend Don Pintabona. The market component features various kitchens serving up burgers, sandwiches, flatbreads, sushi, salads, coffee, ice cream and more. Meanwhile, FarmTable Kitchen has evolved into FarmTable Cucina with an Italian focus. 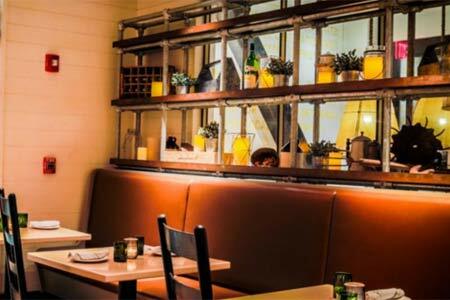 Expect house-made pastas, pizzas and wood-fired main dishes, plus a full bar with cocktails, craft beer and wines by the glass. An eight-course chef's table experience is offered Thursday, Friday and Saturday evenings in the private dining room.